Welcome to INTERLINER, your first choice for the best interline deals. INTERLINER is owned and operated by flight crew, for flight crew and their family and friends. We know you work very hard and we understand the airline business. We also know that we all love to get away, and take advantage of the excellent “interline” rates that come our way. Being in this industry we can jump on an airplane if we feel like it (fingers crossed for loads!) and be on a beautiful ship the next day, sailing to exotic ports. Or, relaxing by a beautiful beach, enjoying the great deal we got on an all-inclusive resort. Paul and the team are your “interline experts” we are here to answer your questions and offer friendly and efficient service. We understand you don’t work a 9-5 schedule, we don’t either! We are happy to chat in the evenings and weekends, so you can plan your perfect trip. Born in Shoreham-by-Sea, England, Paul has travelled the world from a young age. Travel is an invaluable life experience, seeing different cultures and experiencing other countries is his favorite thing to do. Working in the travel industry for almost 20 years Paul has experienced many amazing places in the world. Having worked as a Concierge and in hotels, he then became a Corporate Travel Agent and finally realized a “dream” of becoming a Flight Attendant; didn’t many of us have those childhood dreams? Flying for a Miami based charter. Then in 2000 he joined a major US airline and today still loves the job of a flight attendant. Cruising and working are his passions, and FACRUISE is the perfect place to combine these. Favorite cruise lines are Azamara Club Cruises and Celebrity Cruises, favorite place in the world would be Sitges Spain, a small coastal town just south of Barcelona. Nelson was born in Oranjestad, Aruba and has always loved to travel and see the world, although his beautiful island of Aruba is one of the top favorites on his list. Nelson went to College in the USA and then worked for Air Aruba on the ground in Aruba, before being the very first male Flight Attendant to fly for Air Aruba. Nelson’s career with Air Aruba took him to Newark where he was station manager until Air Aruba ceased operations. One of Nelson’s favorite places is New York City, where he lived for many years and worked as a ground supervisor, until joining a major airline once again in 2006 where he currently works. Languages are natural for Nelson, speaking 5 in total, so if you or any one you know needs travel help in Dutch, Spanish, Portuguese or Papiamento! As well as English of course, Nelson is the one to contact. There is nothing better than being on a ship at sea, different ports and long sea days! Nelson’s favorite cruise lines are Celebrity and Azamara Club Cruises. As a way to combine work with his passion for travel and in particular cruising, Paul began working for his favorite travel agent, "Interliner". Previously he held various positions in transportation, communications, and retail but none of them provided the level of satisfaction he now receives. Paul first started cruising in the 70’s on Holland America’s SS Statendam and SS Rotterdam. In November of 2012 Paul was able to board the SS Rotterdam again after 35 years. She is now a hotel in the Netherlands and the highlight of his visit was a behind the scenes tour which is led by individuals who were crew members back in the 70’s. Paul returned to cruising in 2001 and has been on 14 cruises in the last 3 years alone. His favorite itinerary is anything involving many sea days. For this reason repositioning cruises have provided the greatest satisfaction. It allows one to fully explore the ship and take advantage of all that it has to offer. Favorite ship would be anything new as it is just too hard to pick one. His favorite cruise line would be hands down so far, Celebrity. Even though Katie was born in land locked Phoenix, Arizona the cruise bug hit early. 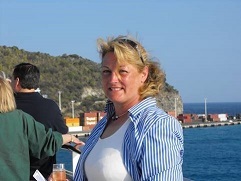 She enjoyed her first cruise at age 8 and has now sailed on more than 15 cruises. The travel bug then took full grasp and she started her flying career in 1997. She has never tired of travel and still gets excited at new adventures. Katie wants to help everyone get a “ trip of a lifetime” and will work until she finds that perfect trip for you! Katie’s favorite places are the French and Italian Rivieras, and loves to explore all the small villages one comes upon.  Her favorite cruise line is Azamara Club Cruises. She likes to say that she is a better flight attendant when she returns from a cruise on Azamara, as their customer service is impeccable. Daniela was born in Toronto, Canada and grew up in Upstate New York. She has always been a world traveler and an adventure junkie. Although she has traveled all over the world, her favorite city continues to be Zurich, Switzerland. Daniela completed college in Austria and then pursued a career in hotel/restaurant management in Austria and Switzerland. During the summer season she owned and operated a successful windsurfing and sailing school in Turkey and in the winter months she ski instructed in Austria. In 1995 she combined her degree and travel experience by becoming a flight attendant with a major U.S. Airline and has been flying for 20+ years. John was born in the Netherlands and started his ‘nautical adventure’ by crossing the Atlantic in 1957 to emigrate to the USA with his parents. Many ocean crossings followed, leading to a love of cruising. Born in the Netherlands, raised in Southern California, educated in Germany and Austria, living in London since 1972, spending large amounts of time in Spain and having worked for 3 major airlines as cabin crew for the past 43 years, have helped John appreciate the value of travel to ‘broaden one’s horizons’. John has been fortunate enough to have experienced most major cruise lines on his 40+ cruises, giving him an insight into the specific advantages of each company. John speaks German and Dutch and can ‘cope’ in French and Spanish (as well as English, of course). John has a ‘passion for cruising’ – and it shows!! I was born and raised in the mid-west and began my aviation career by “accident” in 1999 as a part time ramp agent for a regional carrier – I became hooked on the smell of jet fuel in the morning. I fell in love with the industry and especially those flight benefits. I traveled the world and learned more about people, culture, and life abroad than I could ever have imagined. I decided to go to school for my new passion and majored in Aviation Management and Flight Operations. I continued on my aviation based quest and became a Station Manager for a major airline in 2007. In 2011, I decided to try something I never thought I would do, I became a flight attendant – which I have a feeling I will be doing for a long, long time. I like to label myself as a traveler more than a tourist – and spend much of my time researching hidden gems and fun things to do – regardless if its India, Oklahoma or Reykjavik, Iceland. 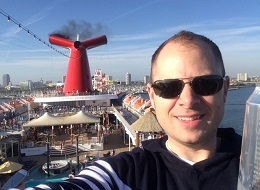 The cruise bug started in the fall of 2011 when I booked my first cruise on the Carnival Sensation – I was instantly hooked. In the past five years, I have cruised more than a dozen times with Carnival and other lines – with many more booked in the future! 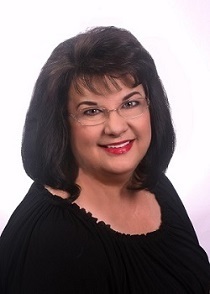 Denise has been a Professional Travel Consultant for the past 25 years. She specializes in cruises and all-inclusive resorts all around the world but is happy to assist with any type of travel needs. Her goal is to provide fast, friendly, dependable and professional travel planning services you can trust and rely on. She does the work so you don’t have to. Call her today! Hello from the Cowles Interliner team! Please allow us to introduce ourselves! My name is Randy. I recently retired from a very rewarding career as a guidance counselor in a vocational high school in Ohio. My wife, Debby, recently retired from the Cincinnati reservations office of Delta Air Lines. During her 27 ½ years of employment with Delta, she served as the Community Partners Coordinator, planning community and volunteer events for local Delta employees. Debby and I have always found a great deal of pleasure traveling the world! To date, we have visited over forty countries in six continents. Now that we are retired, we would like to travel more extensively, with a life-time goal of one hundred countries spanning all seven continents! Although many of our expeditions have been limited to air travel, we have recently discovered the joy of cruising! We love the convenience of having a ship as home base as well as the promise of multiple destinations and the bountiful activities only a cruise can offer. As your Interliner team, our goal is to provide you with fast, friendly service backed with personal experience to help you find affordable options so that you too can explore the world! At INTERLINER we strive to give you excellent customer service and impartial advice. We have experienced most cruise lines first hand and also sail frequently. This website is a work in progress; we will grow it, and add information as quickly as possible. If there is anything you would like to see here, or any ideas you would like to share please email us. We also love to hear your feedback from your trips, so please let us know how you enjoyed your vacation. And remember we are happy to work with any of your friends and family, your referrals are much appreciated and how we grow our business.